Jet Black has proven to not only be a talented up-and-coming figure in the music/entertainment industry, but positive influence and role model in our modern society. Born Jeffrey Junior Blot in Miami, FL November of 1985 to a hard working yet married father and a mother who quickly found herself alone in a new world (being that she had just arrived to the states from Haiti). At a young age, while growing up in a one room apartment on 142nd street and NE 6th avenue in North Miami, Fl with his mother and two little sisters, Jet Black learned that he would have to acquire the role as the man of the house; knowing that though his father was present in his life, he would only be able to spend the day with him, because his father would eventually have to go back home to his wife at night. Jet Black met his " Big Brother" Joel “Godson” Talabert at the age of 13 at North Miami Junior High School, having found out that they shared a blood cousin. Godson introduced Jet Black to free style rapping, there he realized that he had a unique talent and was instantly hooked. As the years went by, Jet Black continued working on his craft of writing music, poems, and movie scripts. However, though he began improving and perfecting his rhyming skills, Jet Black was a trouble youth—acting out in school, which later resulted in him getting kicked out of high school. In 2006, as a complete turn in direction, Jet Black found himself working at the local YMCA—loving the job and the opportunity of being able to connect with the kids lead him to make the decision to go to college to obtain a degree in Criminal Justice—in hopes of pursuing a career as a Juvenile Counselor at a public school to help shape the lives of at risk youth. Within the midst of this positive move, devastation struck home on April 19, 2007, when his "Uncle SOLO", was shot dead. Solo was the only person that took Jet Black & Godson under his wing, and believed in them and their dream—till this day, they respect everything that their "Uncle Solo" taught them. Though this was a great lost for Jet Black, however, he continued to push toward his goal of being a successful businessman by becoming a brand. With an impeccable street grind and being well respected by his peers, over 100 videos on YouTube with over 500,000 views, a concrete fan base on the internet, and exceptional music, the North Miami Hotboyz Jet Black & Godson aka Damoviestarz are well on their way toward success & fame. JetBlack is well on his way to accomplishing his dream in becoming one of the most elite businessmen/ artist in the music/ entertainment industry. "Cinemaaaaaaaa!! !” screams Godson as he enters the stage at yet another performance by the rap duo "jet Black & Godson", proving yet again that he is one that is here to stay in this zealous industry we call the rap game. Godson was born Joel Talabert on September 8, 1984 in Cap- Haitian, Haiti. Wanting a better life for them, Godson's father left Haiti with 4 year old Godson along with his older sister. When Godson arrived in Miami, he began living at 5757 NW 1st Ave. in lil Haiti, with grandmother Angelita, who played the role as mother to Godson. Angelita tried her best to ensure that Godson stayed on the right path; enrolling him in school in order to receive proper education. However, raising Godson was not easy for Mrs. Angelita. Every day she would receive calls from Godson's school complaining about his not listening to the teacher and fighting. Becoming more and more fed up with Godson's acting out, Angelita was on the verge of giving up until one day she realized that, while at home, Godson enjoyed listening to music. Using this to her advantage, Angelita suggested that as long as he would go to school and come home, he could have the family's radio. Godson started rapping on his own in Little Haiti, not knowing that he would become really big in his area. As Godson watch those around him who were also rapping and aspired to be like them when he grew up. Though he was too young to go to shows with them, he still hanged around them as he perfected his rhyming. Godson put together his first hit, “Hotboyz" with his brother Jet Black, using his mother's only radio. 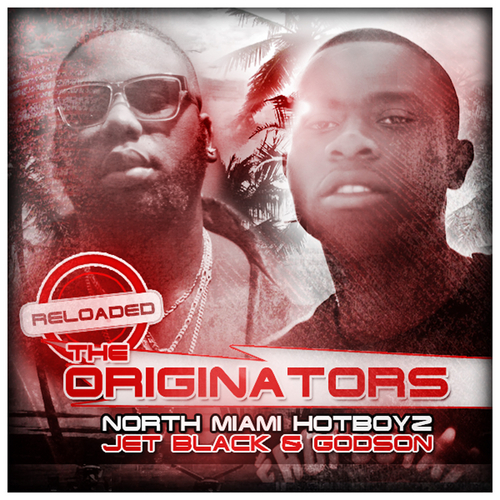 Receiving positive feedback from the hood, Jet Black & Godson joined together and formed the group "North Miami HotBoyz", a name they were given to by a friend, “BOOWE", who initially said it as a joke. When everything seems to be going well for Godson, tragedy struck home for the up and coming artist. On February 19, 2007, Godson received a call from his sister that his Mother/Grandmother Angelita had passed away in Haiti; two months after that on April 19,2007 "Uncle SOLO", Jet Black & Godson’s mentor, was shot dead. Solo was the only person that took Jet Black & Godson under his wing, and believed in them and their dream—till this day, they respect everything that their "Uncle Solo" did for them. As Jet Black & Godson grew weary and wanted to turn away from the music game, their biggest supporter, Jet Black’s mother, convinced them to continue making music; being that have they had a lot of people looking up to them as role models. Putting their heads together to do what they do best. Creating a definite buzz, the self-proclaimed YouTube Kingz has not only obtained a solid fan base, but also have over 100 videos on YouTube with over 500,000 views. Godson has come a long way with no intentions of turning back. With his partner Jet Black at his side, The North Miami Hotboyz Jet Black & Godson aka Damoviestarz are well on their way toward success, fame, and the continuation of shoooooooting moooooovies!! !